The versatile KitchenAid Ultra Power Series Tilt-Head Stand Mixer is destined to become your go-to kitchen appliance for home baking. 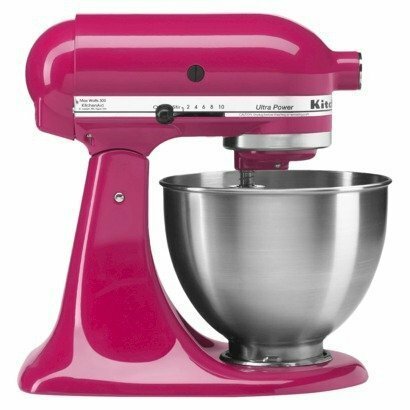 The Ultra Power Mixer has a large, wide 4.5-quart capacity bowl for efficiently whipping up cake batter, big batches of cookies, and dough for pie crust and breads. The stand mixer boasts 300 watts of power for preparing large quantities and double batches. This stand mixer has an accessory hub that accepts a variety of attachments for other types of food prep tasks such as slicing vegetables, food grinding and making pasta.